Zauthanmui, a mother of two independently runs her household. She took a loan of Rs. 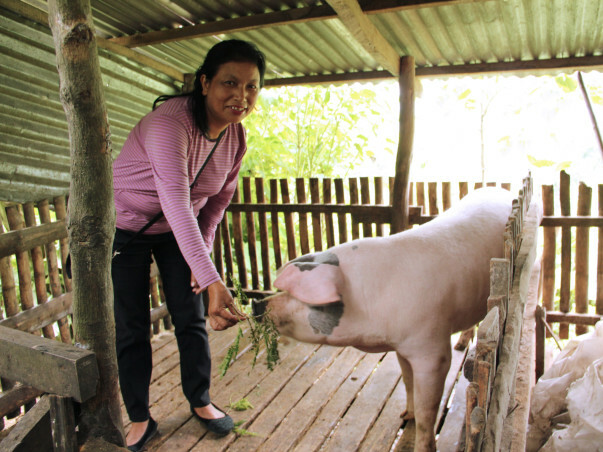 20,000 in July 2013, to start a piggery and also invest in her garment dealing business. She bought two piglets, invested in buying garments which she then sold across towns in Mizoram, and also saved some money in case of an emergency. The money she earns provides for the daily expenses of the family and the education of her kids. She wants to further expand her business and be able to save enough for higher education of her children. Her resilience echoes the mountains she lives In.